Topped in your choice lush faux-leather colors, Sunpan’s Lawrence Counter Stool is crafted with gentle contours and generous cushioning for maximum comfort in the modern or mid-century-influenced motif. 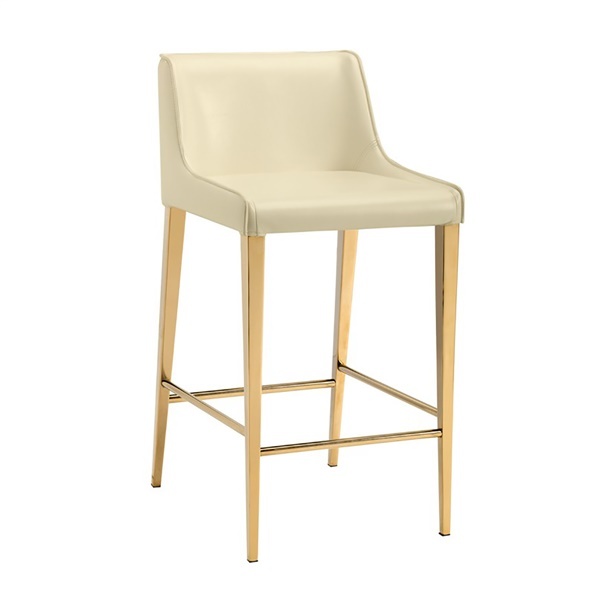 Featuring a slender yet stable silhouette of sturdy steel in a shining gold finish, Sunpan’s sleek and unique Lawrence Counter Stool positively gleams with subtle glamour. Boasts a yellow gold steel base that delivers immense support. Features stretchers that make the counter stool a wonderful option in a residential or commercial setting. Faux leather upholstery will maintain its appearance for an extended period of time. Provided in multiple vibrant colors.